Perfect eyesight and the ability to focus without straining the eyes. In just a few short years, we’ll be able to improve our eyesight to levels we’ve only dreamed of. At first, it’ll be expensive, but over time they’ll become more easily available, eventually doing away with the concept of “poor eyesight” or 20/20 vision altogether. A company known as Ocumetics Technology Corporation is at the forefront of this tech, which is currently in the midst of testing its Bionic Lens. The Bionic Lens replaces the natural lens found within the human eye, and brings with it a number of improvements, chief among them being an immediate improvement to eyesight, and clear vision regardless of distance. No more squinting or covering one’s eyes to get a better look at a distant sign. Over time, the Bionic Lens could be upgraded to include additional functions, such as projecting your smartphone’s screen, or sharing your perspective with another person who also has a Bionic Lens installed. The best part is how the lens can be applied using the same tools and techniques as cataract surgery—referred to as “the most common and successful procedure in medicine.” The lens would eliminate the possibility of cataracts in the eye, as well as glaucoma, which can be caused when the cataractous lens releases toxic agents into the chamber of the eye. According to Big Think, however, it won’t fix every problem or defect associated with the human eye, like color-blindness, cloudy corneas, or damaged optic nerves. There’s also a chance it will be seen as unfair by those without the lens, as it is quite literally a cybernetic enhancement. That said, those that are among the first to receive it will be paying nearly $3,200 per lens, and that’s before the cost of the surgery itself. 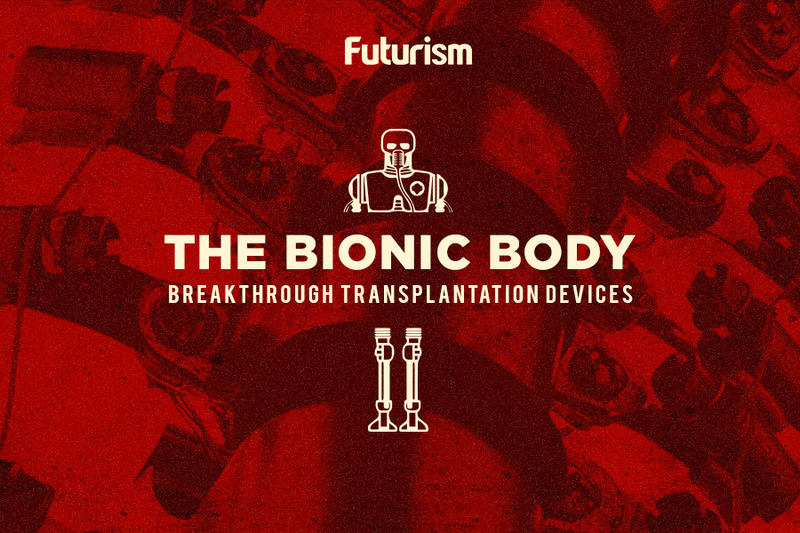 As exciting and impressive as the Bionic Lens may currently sound, there is some benefit to waiting for future developments. Of course, the elimination of cataracts, reduced cases of glaucoma, and overall improved eyesight are too much to ignore. Almost 22 million people over the age of 40 are affected by the condition, with 30 million more expected to have it by 2020. The Bionic Lens, and future creations like it, could greatly impact that number, and radically change the way we see our world.